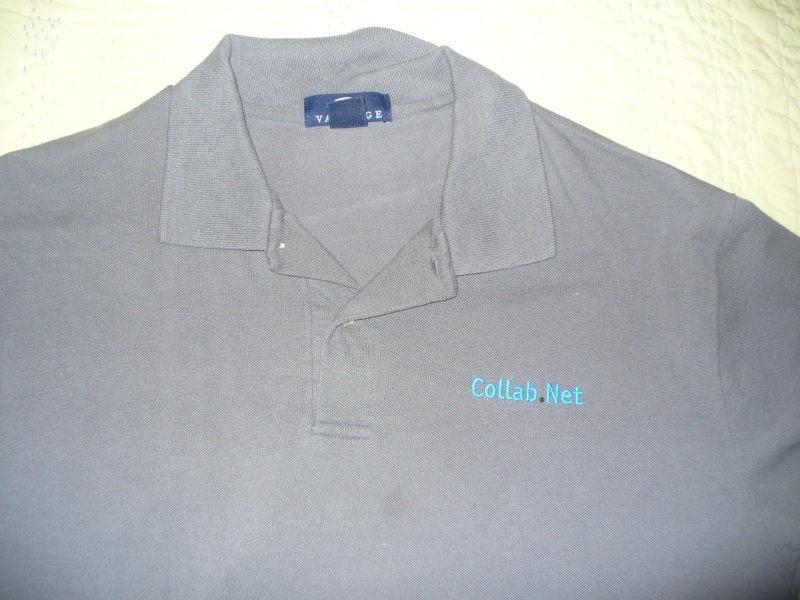 My 2000-vintage Collab.Net polo shirt. This document (source) is part of Crummy, the webspace of Leonard Richardson (contact information). It was last modified on Wednesday, December 23 2009, 23:22:15 Nowhere Standard Time and last built on Wednesday, April 24 2019, 18:00:40 Nowhere Standard Time.